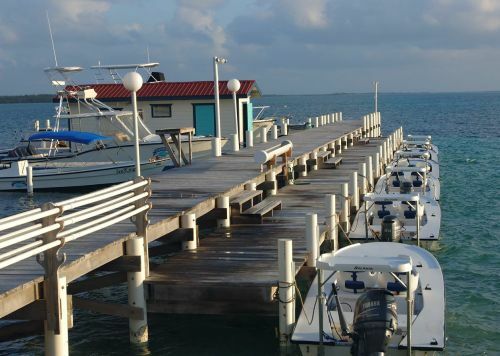 Saltwater flats fishing in Belize. Fishing for bonefishing, permit, and tarpon on Turneffe Atoll. Our fishing schedule is as flexible as possible. A standard day's fishing is about 8 hours. Generally, the fishing day begins after breakfast and ends around 5 p.m. although it is adjusted depending on the tides and other factors. There is a definite tarpon season in Belize as most tarpon are migratory (May - October). Bonefish and permit are resident populations and fishing is remarkably consistent throughout the year. We provide this laminated map of Turneffe Fishing for all anglers.